3M Scott Safety Steel & Carbon Fibre Cylinders are available for use with various types of breathing apparatus. Burst discs, pressure gauges and excess flow valves all available as options. All cylinder weights are approximate and may vary by 0.3kg. 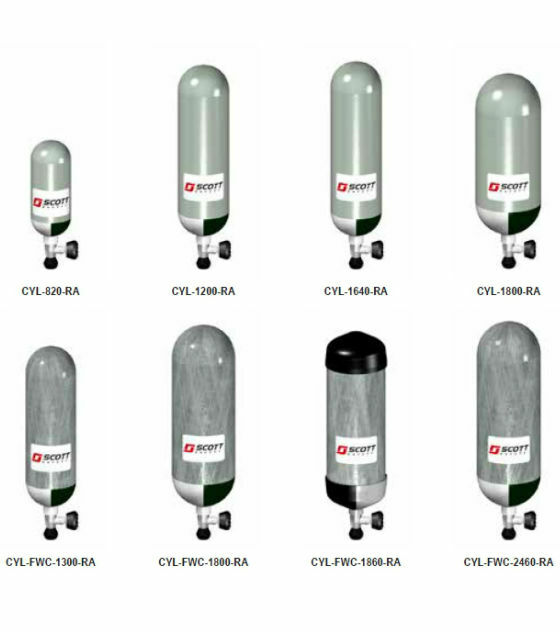 When ordering, please specify whether cylinders are to be supplied FULL or EMPTY. Please note currently only CYL-FWC-1860's are supplied with rubber boots.